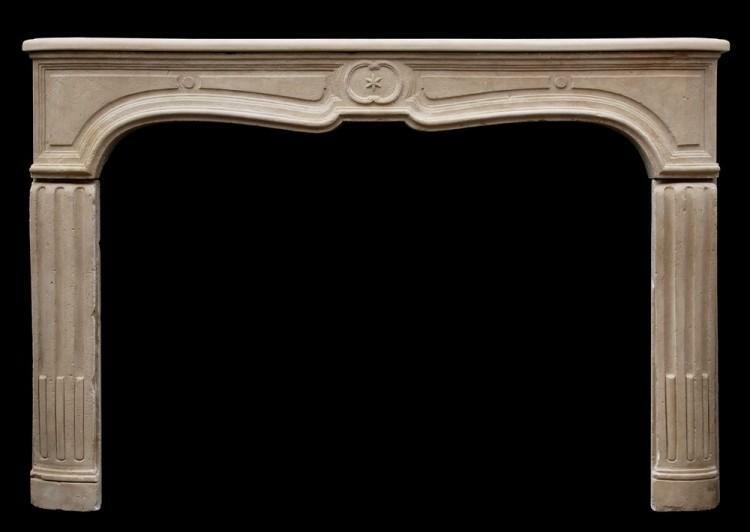 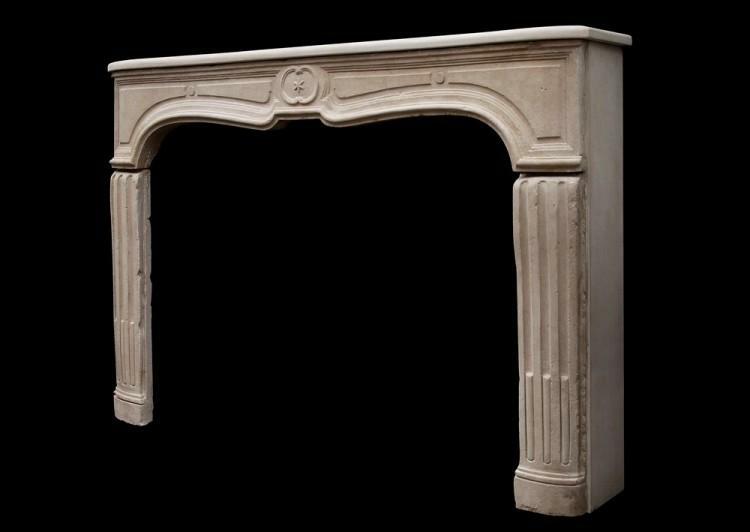 An unusual 18th century French limestone fireplace, of the transitional Louis XIV/XV period. 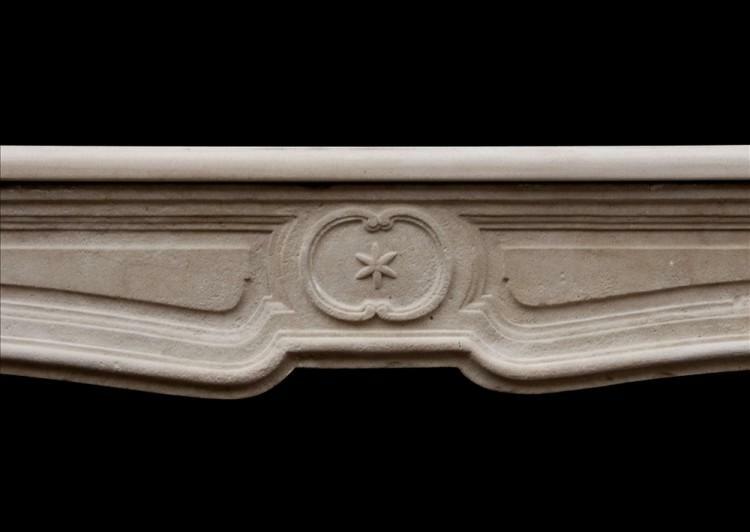 The elegantly shaped frieze with round motif to centre with star within. 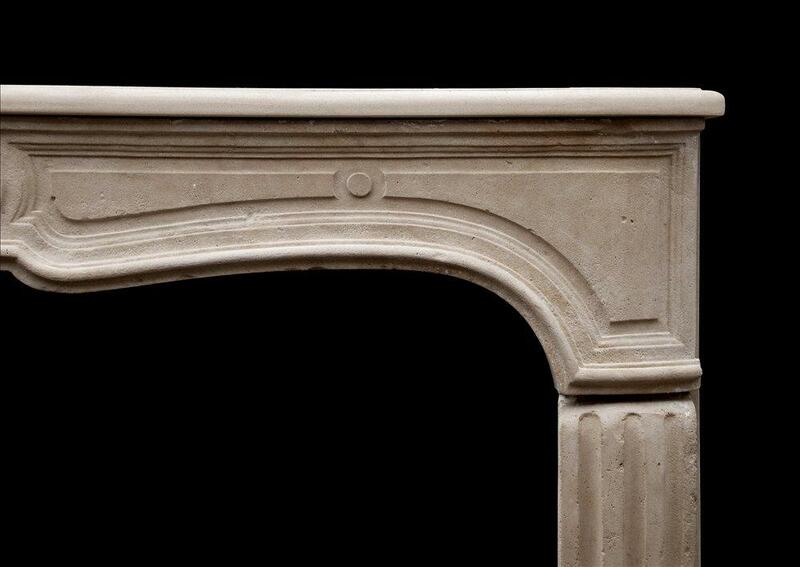 Shaped fluted jambs and shaped shelf.